Product information "Racktime luggage carrier I-Valo Tour 26" + 28" black Dynamo-Version"
An immense light output due to 5 -in high-power LEDs integrated into the luggage carrier tube is offered. The necessary electronics is well protected as it travels in the housing of the reflector. In addition, there is a second lower level for relaxed rides, even if the side pockets are packed. 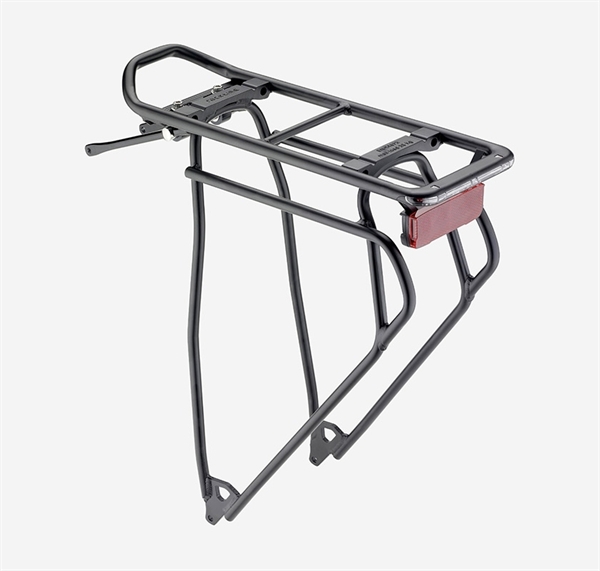 The I-Valo luggage rack is also compatible with Snapit. Related links to "Racktime luggage carrier I-Valo Tour 26" + 28" black Dynamo-Version"
Customer evaluation for "Racktime luggage carrier I-Valo Tour 26" + 28" black Dynamo-Version"